Charles Caudrelier, the skipper of Dongfeng Race Team, was keen to get going on Leg 8 of the Volvo Ocean Race 2017-18 today as he prepared to set sail from Itajai in Brazil bound for Newport, Rhode Island in the USA. This is the first time in this long race that Caudrelier and his crew, sponsored by the Chinese car and truck manufacturer Dongfeng Motor Corporation, have set sail as the overall leader – by one point from MAPFRE. And the Frenchman admitted they have been thinking about how to make the dream of winning the race come true over the final four legs. 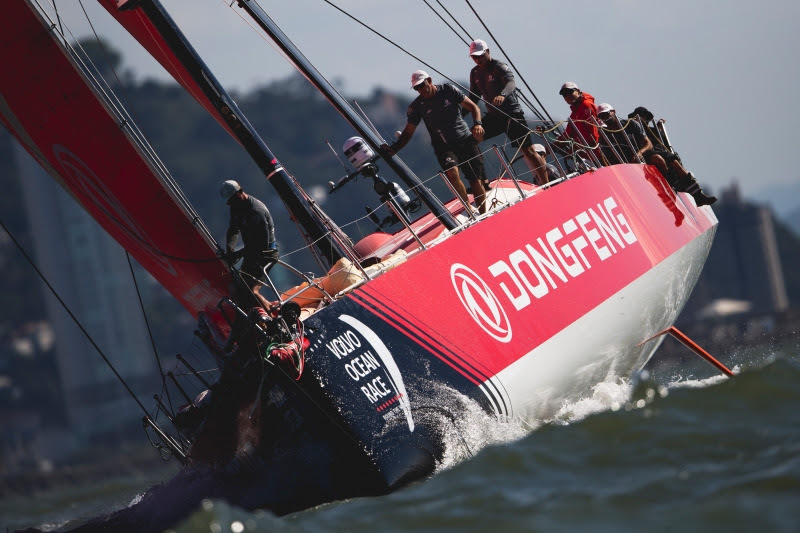 “It is a very important moment for Dongfeng Race Team because we are leaving Brazil and leading the race,” said Caudrelier. “Of course we are thinking more and more about how to achieve our dream, but there is still a long way to go and there is still lots to fight for before the end of the race. “We are very focused and motivated and happy to go. As soon as we ease the mooring lines we feel better,” he added. The 5,700-nautical mile leg to Newport started with a short inshore sprint around the buoys off Itajai in warm sunshine and a light sea-breeze, before the fleet headed off towards the north-east corner of Brazil and the long journey north that is expected to take around 17 days. In the inshore contest, MAPFRE got the best start and almost immediately Xabi Fernandez’s team and Dongfeng Race Team rejoined the battle which has dominated this race from the start. At times the boats were just metres apart as the helmsmen looked to squeeze every ounce of speed out of their boats watched by a sizeable spectator fleet. As the fleet headed off out to sea after 40 minutes of racing and six mark roundings, MAPFRE held the advantage with Dongfeng in second place, 41 seconds behind. Then came Team Brunel which won the last leg through the Southern Ocean, at one minute and 5 seconds, and then Turn the Tide on Plastic (1.18), Team AkzoNobel (1.46), Team Sun Hung Kai/Scallywag (2.59) and finally Vestas 11th Hour Racing (3.19). This leg sees the return of Stu Bannatyne to Dongfeng’s race crew. The Kiwi veteran of seven previous Volvo Ocean Race campaigns reckons the Chinese team just needs to keep sailing consistently and the results will keep coming. “I’m looking forward to getting back into it. We have got to keep doing what we have been doing - just sail smart and avoid making mistakes and we will see how it pans out,” said Bannatyne. “It is a very tricky part of the race with only four legs left to go. There are still a lot of points up for grabs. We have just got to keep the consistency and not get too focused on the end but make sure we do every step along the way as well as we can,” he added. Chinese sailor Chen Jinhao, also known as Horace, was ready for battle as always. “After Leg 7, of course every team was tired, including us, but we have had a good time for recovery and to be ready for Leg 8. Now Leg 8 is here and the team, the people and the boat are ready to fight for the last four legs,” he said. “The race is almost finished and it will be the end of the fight. This morning there was a touching moment as we all thought about the reasons why we are here and the mission that we have left to do. Now we are in a good position and the last four legs will be very, very tough and very tight but we are ready for this. 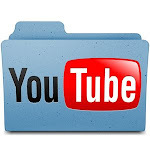 We are ready to fight,” he added. Marcel van Triest, the Dongfeng Race Team meteorologist, has been in Itajai helping Caudrelier and his navigator Pascal Bidegorry prepare for a complex leg that requires the teams to tackle the St Helena High, two phases of trade wind sailing, the Doldrums and finally the effects of the Gulf Stream. Van Triest says the start of the leg looks straightforward but it’s going to get complicated pretty quickly as the boats head towards Recife. “The breeze will slowly build and by sunset it will be in the mid-teens and 20-21 knots by midnight, with the boats all on the wind,” he said. Dongfeng Race Team is taking part in its second consecutive Volvo Ocean Race, having finished third overall in 2014-15. The team is committed to trying to win the race but also to helping to develop the sport of offshore racing in China.